Asian breakfasts are the new avocado toasts. Anyone can make scrambled eggs and pancakes, but the real pros are the ones making bo ssam or nasi lemak in the AM. You’ll usually find these in an Asian kitchen, which were few in number in NYC but those numbers have grown to represent a diversity of countries like Japan, Malaysia and Korea. 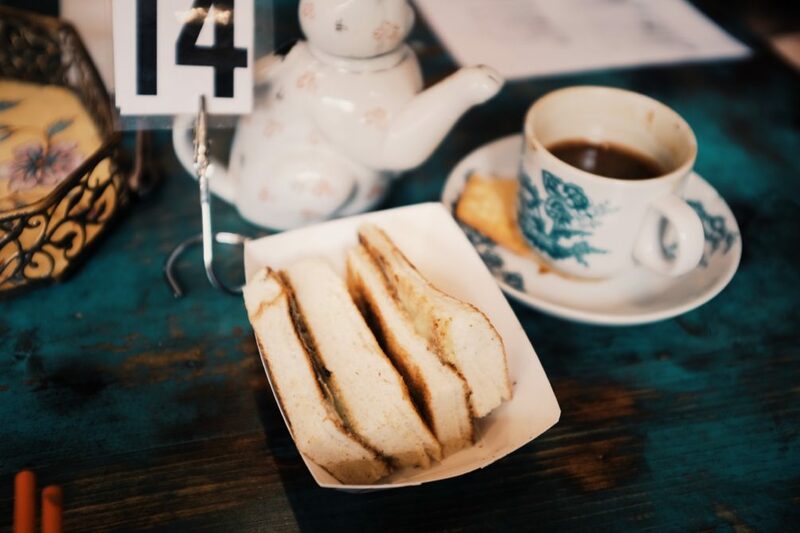 If you’re willing to branch out from a bagel and lox, you should stop by some of my favorite Asian breakfast spots in the city. 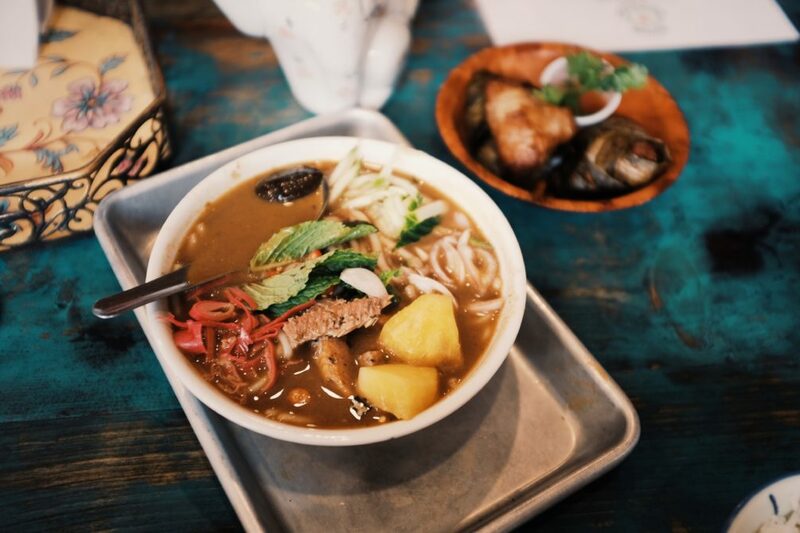 These places embrace authentic flavors rather than trying to water things down with matcha pancakes or something like that. And nothing wakes you up quite like a bowl of fried anchovies or kimchee in the morning! 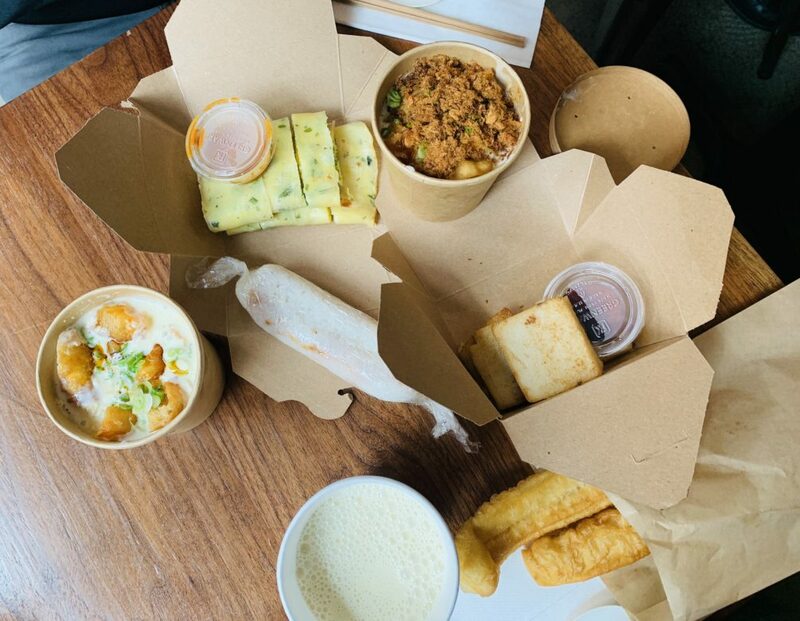 Kopitiam recently moved into a bigger space in Chinatown that resembles a homey cafe, an upgrade from the cramped, take-out quarters of the old space. 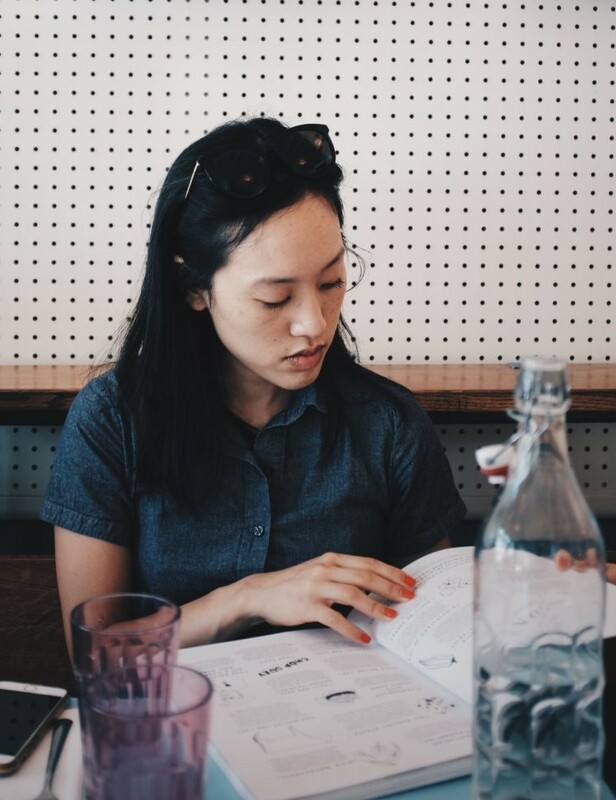 Hip Asians who look like they could be at a Bubble_Tea party make up the clientele, noshing on small plates of Malaysian food. The stars of the menu remain unchanged in this revamp. 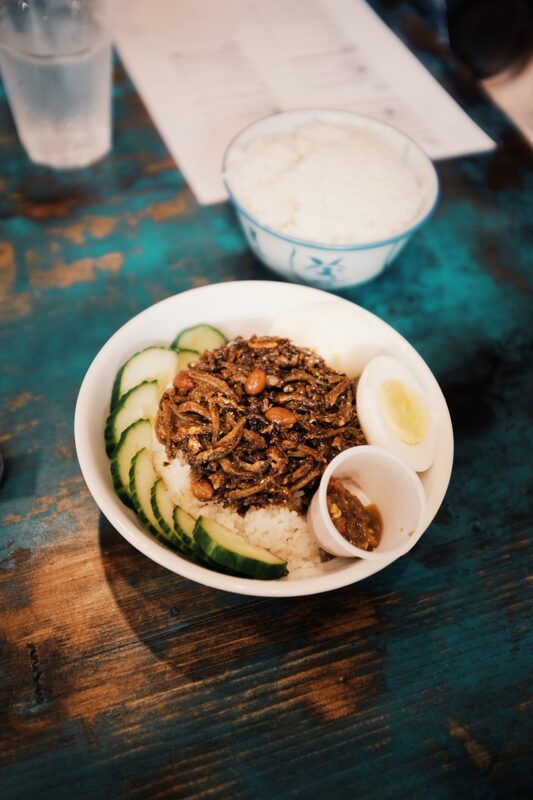 The nasi lemak, a dish of fried anchovies on top of coconut rice, is phenomenal, as is the kaya butter toast. 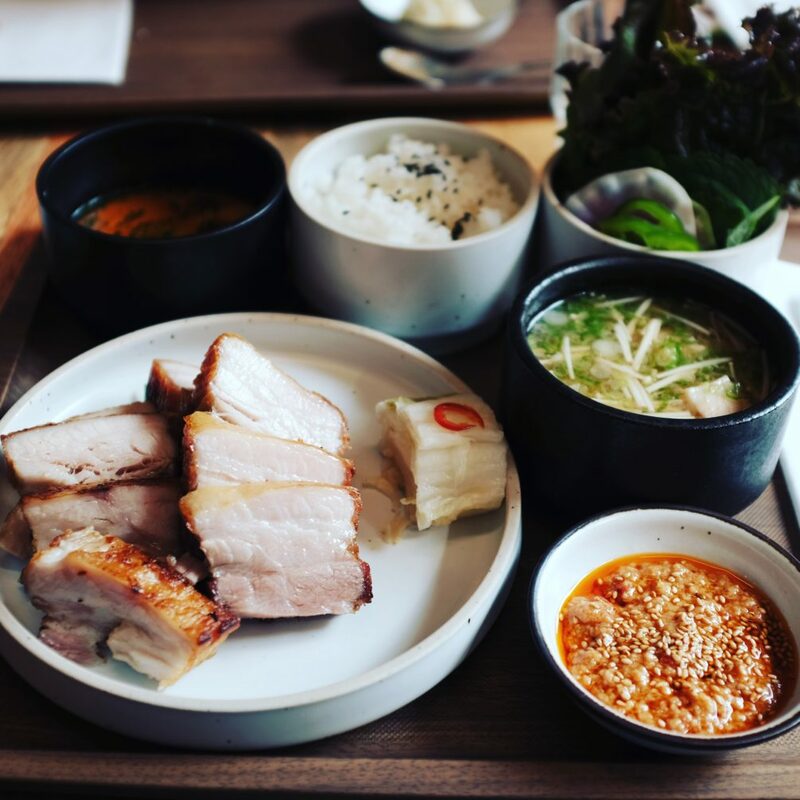 Jeju Noodle Bar is known for its evening menu of Korean ramyun noodles, but they also offer them at brunch, along with a selection of familiar Korean entrees like pork belly bossam. 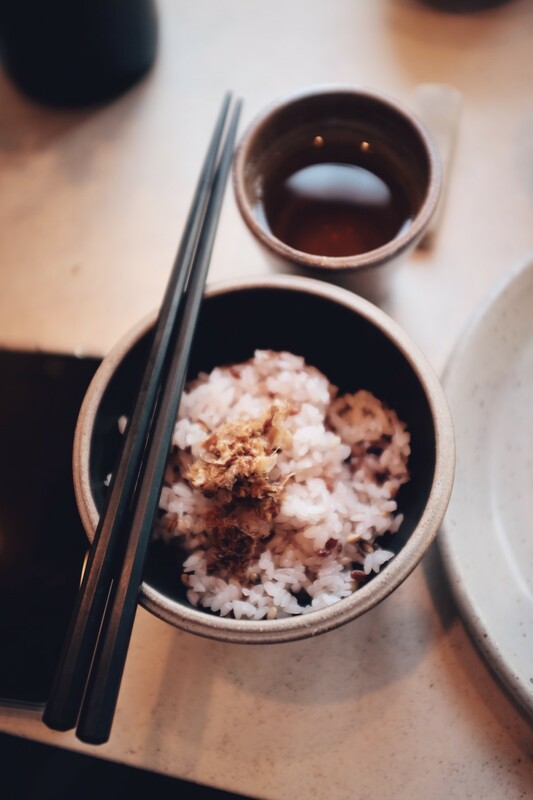 The flavors are clean and sophisticated but still traditional, which explains why the restaurant is popular with both Koreans and Westerners. After a lifetime of eating fiery Shin ramen cup noodles, I didn’t expect to like the miyuk vegetable ramen, but I was won over by the delicate yet layered broth. 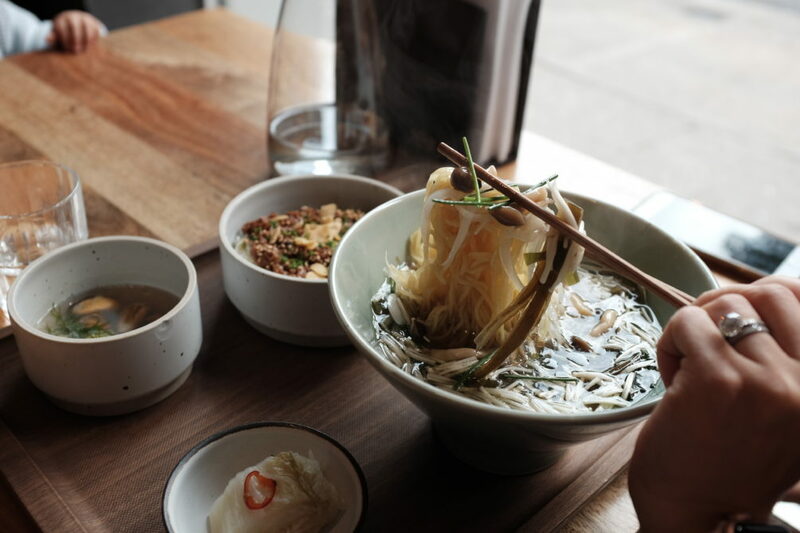 A bowl of this and a bite of the pork belly with some lightly pickled kimchee make for a perfect meal. If this restaurant were closer to home and took reservations, I would have breakfast here all the time. Even though Okonomi is Japanese, the balanced meal of fish, pickled vegetables, rice and soup reminds me of the Korean breakfasts that I ate growing up. 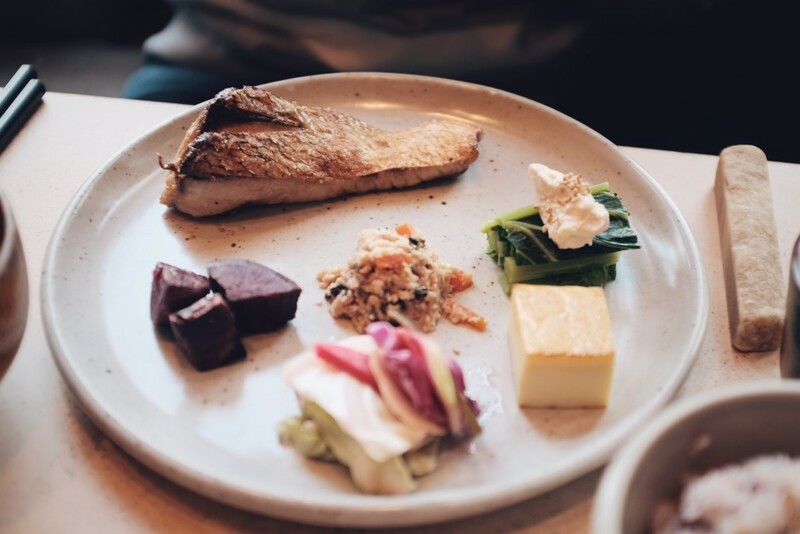 Even better is that they use locally sourced fish, which tastes fresher and is usually more interesting than your typical salmon or cod. People are very excited about Taiwanese breakfasts. 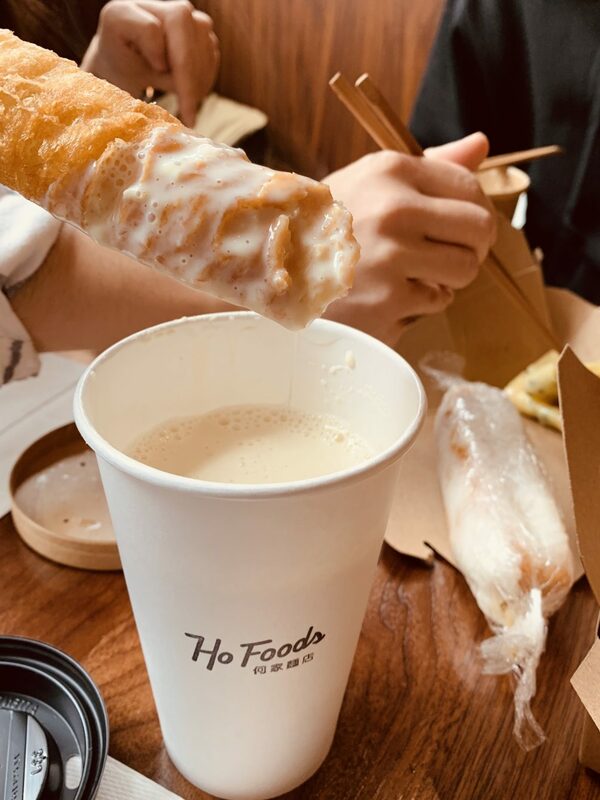 When Ho Foods announced the launch of its new Taiwanese breakfast menu, my husband urged us to check it out asap, bright and early at 11 am, to beat the crowds. Except they already beat us there, scarfing down the cups of salted pork floss and fried donuts in soy milk while the rest of us watched impatiently in line. If you like heavier flavors, the savory soy milk is definitely the way to go, but I appreciated the subtlety of the more traditional and plainer soy milk as the base for my cruller. 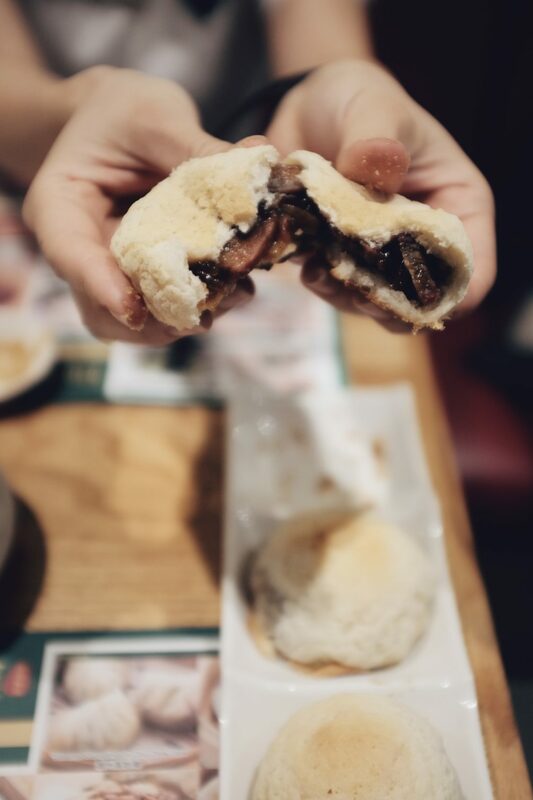 I wanted to avoid talking about dim sum and highlight more overlooked Asian breakfast options, but I do have to say that I have a soft spot for Tim Ho Wan. Despite all the drama with the long waits, which have subsided to a more reasonable 1 hour wait on the weekend, I always enjoy my meal here of baked bbq pork buns and the sticky rice in lotus leaf. 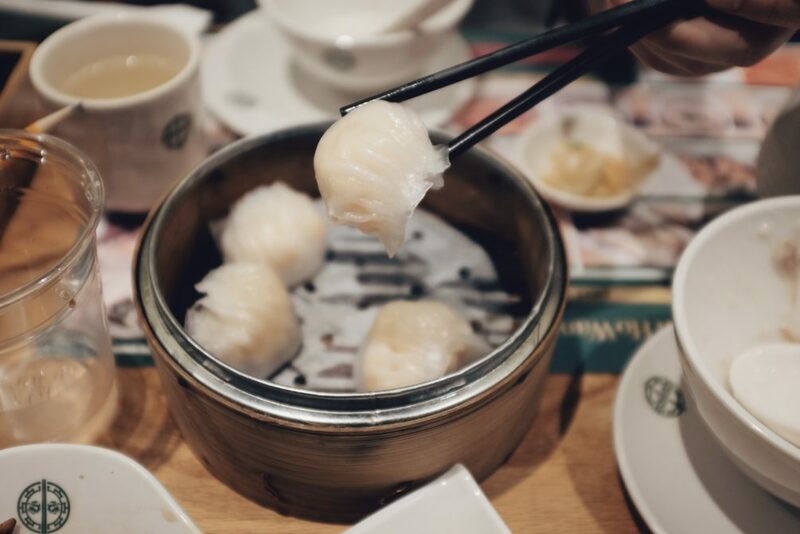 Even traditional plates of shu mai and rice rolls taste fresher and are made with higher quality ingredients than those churned out at those huge banquet halls.